Another Olympic quadrennial is over. I have been home from my Rio 2016 Olympic Games experience for some time now as the cauldron in Maracanã Stadium was extinguished over two months ago. 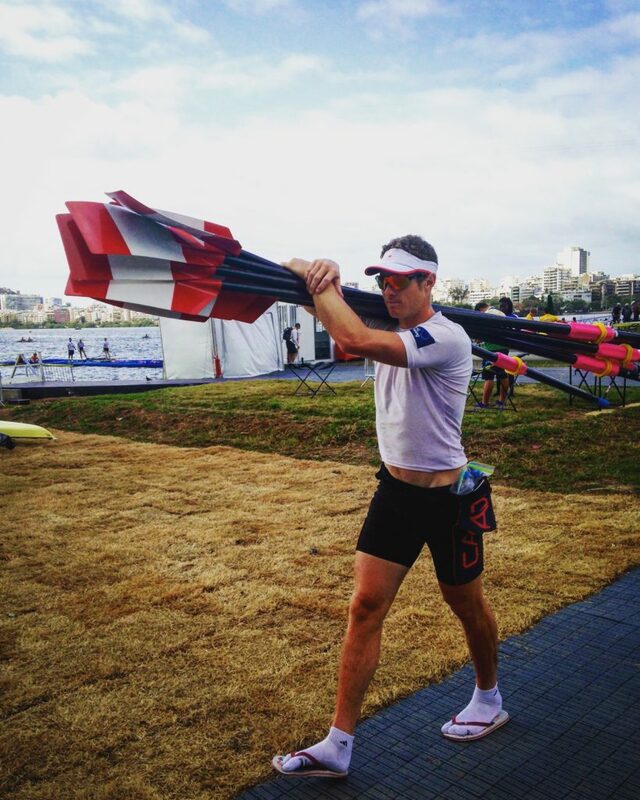 I had the honour of working as a member of the medical team with Rowing Canada Aviron over the past four years as we worked towards the goal of bringing home some hardware from the Rio Olympic Games. It was a most beautiful venue with Christ the Redeemer watching over the course from on top of Corcovado mountain. The Lagoa Rodrigo de Freitas was the lagoon in which the rowing took place and turned out to be subject to some wicked winds which made some of the racing more about staying afloat than going fast. Christ the Redeemer watches over the Canadian athletes and staff rig their boats. 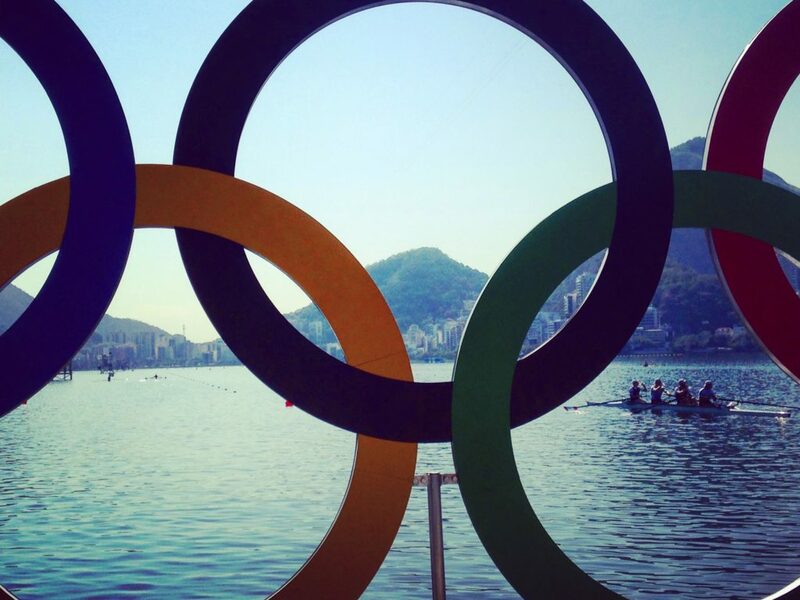 Ultimately our four years of work is judged by our performance at the Olympic regatta. The team’s performance had its ups and downs. On the positive end of things we came away with one medal…Lindsay Jennerich and Patricia Obee rowed an amazing regatta and were rewarded with a silver medal in the lightweight women’s double. Along with their coach Tom Morris they are to be congratulated for putting together and executing a plan that resulted in them standing on the podium. 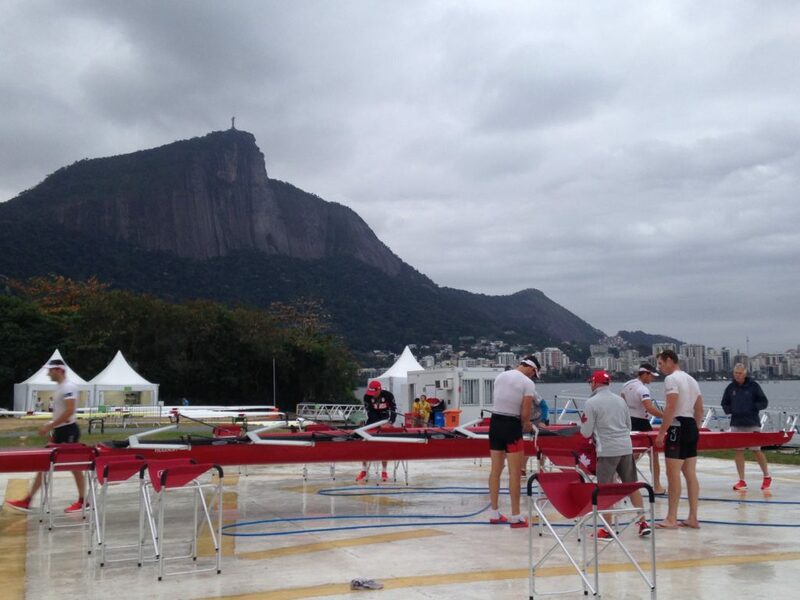 Canada’s heavyweight men’s four taking a breather between pieces on the Lagoa. Though our other boats did not reach the podium, the athletes and coaches deserve so much respect. How many of us wake up in the morning and put our feet on the ground and say, “I am going to put in the work that is required to be the best in the entire world at my chosen activity.”? How many of us say this every morning of every week for four years? How many of us actually put the work in? Will Dean acting as sherpa for the heavyweight men’s quad. These athletes give up so much to try to achieve their dream. The investment of time, effort and emotion is immense and I would argue it is immeasurable. These athletes put themselves out in front of the world, hiding behind nothing. 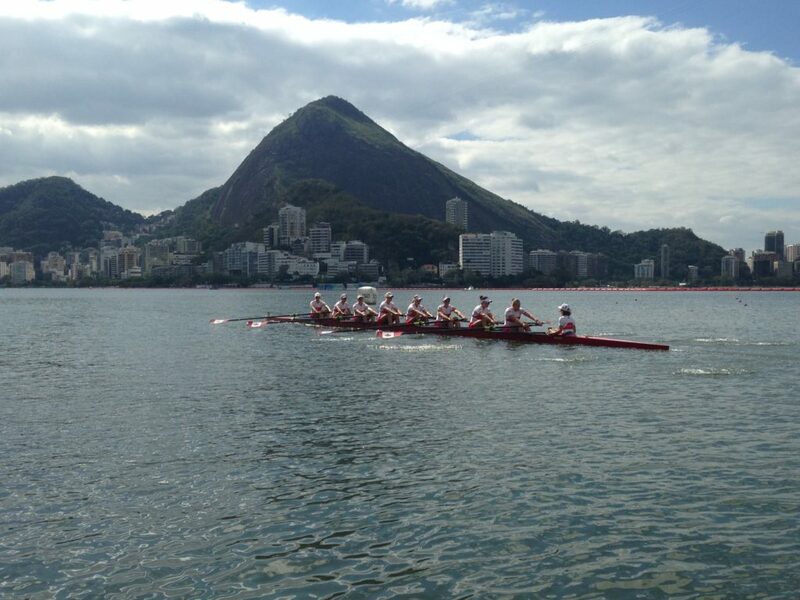 Canada’s heavyweight women’s eight cools down after winning their repechage. The high that Patricia and Lindsay felt is soooo high but the low the other athletes felt is soooo low. But I respect them soooo much because they put themselves out there, they worked harder than most of us ever will, they tried to be the best in the world, they lived life to its fullest and felt the emotion that comes with that. If my future child/children turns/turn out to be like them I would be a very, very proud dad. I wish the athletes, coaches and staff all the best in their future endeavors. I am grateful to have shared in the highs and lows with you and hope that our paths cross again.